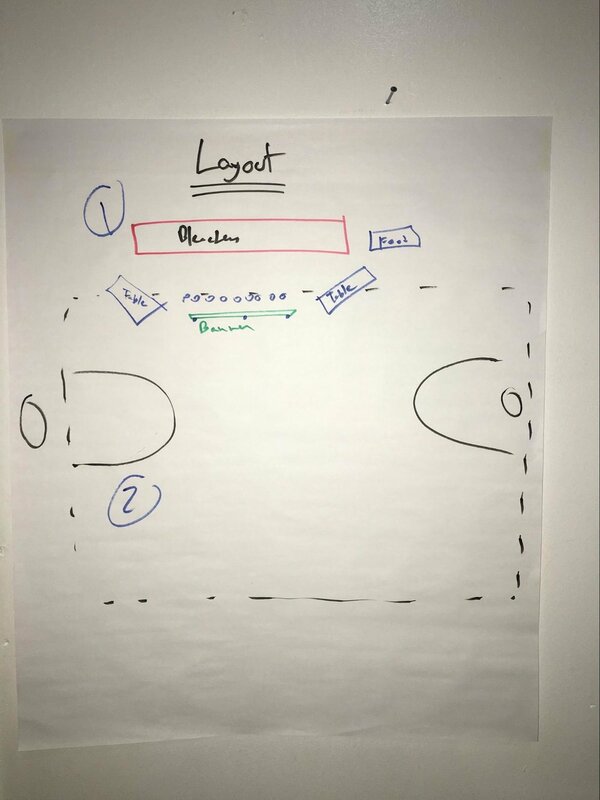 LiftUp Basketball: Part 3 - Season's Over — Ashraf — product designer with optimism. This is part 3 of a 3 part series. Read part 1 or part 2. As the program drew to a close for the season, our 8-week bootcamp had taught them how to dribble, shoot, pass, and maintain control of the ball. Our kids also developed athleticism, teamwork, and leadership skills. We wanted to show our thanks to the patrons that opened their hearts and wallets and supported our program. Plus, we wanted to reward the kids for all their hardwork and love for basketball. So we rented out an indoor basketball court and planned an event. We used Basecamp to organize the moving pieces involving vendors, volunteers, and patrons. 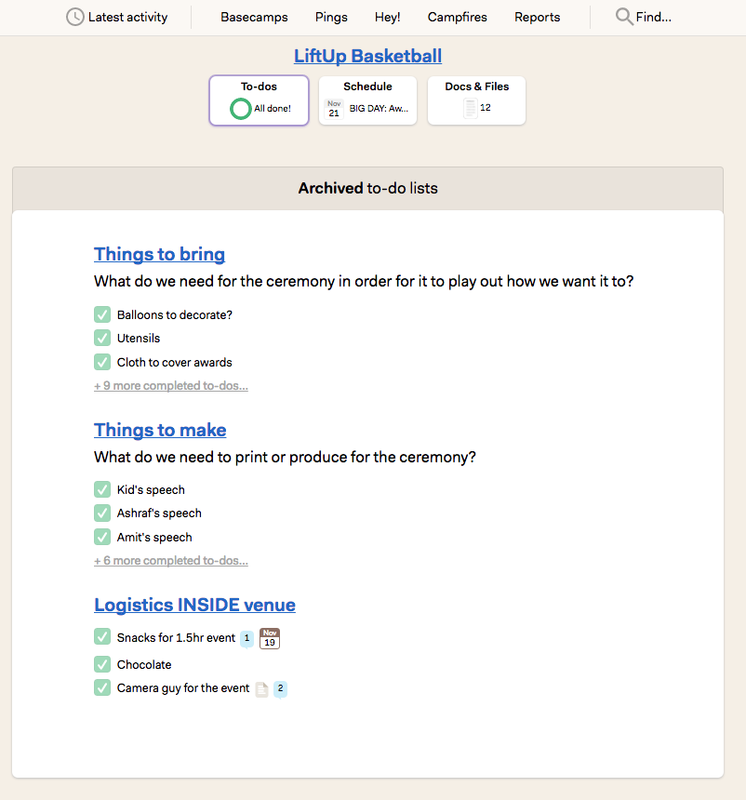 We created invitation list, an agenda, a flyer and email campaign to promote it. I also designed materials including a pamphlet, posters, and award certificates our volunteers. We also had to organize food and light snacks, order trophies, develop a powerpoint presentation, and write our thank you speeches. For the trophies, we wanted to get something substantial that would make each kid feel special about their accomplishments in the program. We developed a few categories and ordered trophies with their names and trophy titles on them. One our kids receiving a trophy for their hard work! All the effort paid off. We had a great audience turnout of 30 people. All of our logistics and hecticness came together to create an awesome event. I couldn’t be more proud of our kids. With a full time job and other responsibilities, a non-profit can be a daunting affair. Time management skills were critical to ensuring deadlines were maintained. When it comes to starting an initiative, you cannot take on everything yourself. Trust in the people around you to help you. Consistency in our efforts and our story were rewarded with accolades and donations. It was important to enable stability and build trust by keeping our commitments. I maintained my dedication. Showing my resolve and never wavering from my promise inspired our kids to do the same. A great co-founder like Amit was important to feeling supported and nurtured throughout the process. And a smile can go a long way on a really tough day. I delegated, coordinated, and mobilized others to participate. I roped in Assistant Coaches as well as local donors to encourage their activism, to take a bigger role in the entire process. Knowing my motivation kept me going. And for us, that was the kids. I couldn’t let down the kids. I wanted them to develop and grow every step of the way. I knew that if I was a little lazy on a deadline or failed to keep a commitment, they would suffer. They would lose faith in their own development. I took great steps to not let that happen. I made sure that the kids had a rich, impactful program. When you have the right motivations and the right targets in mind, the slow and steady grind of hard work and dedication always pays off. In less than 3 months, our summer was transformed. We started a basketball boot camp, raised more than $1000, had an award ceremony, and helped our community. I couldn’t be happier! This program encouraged our kids to become productive, mindful, and conscious leaders of tomorrow. We enabled the next-generation of young basketball players in our community, giving them a sense of hope and passion, something to strive for deep within them. Even to this day, my kids still call me coach. 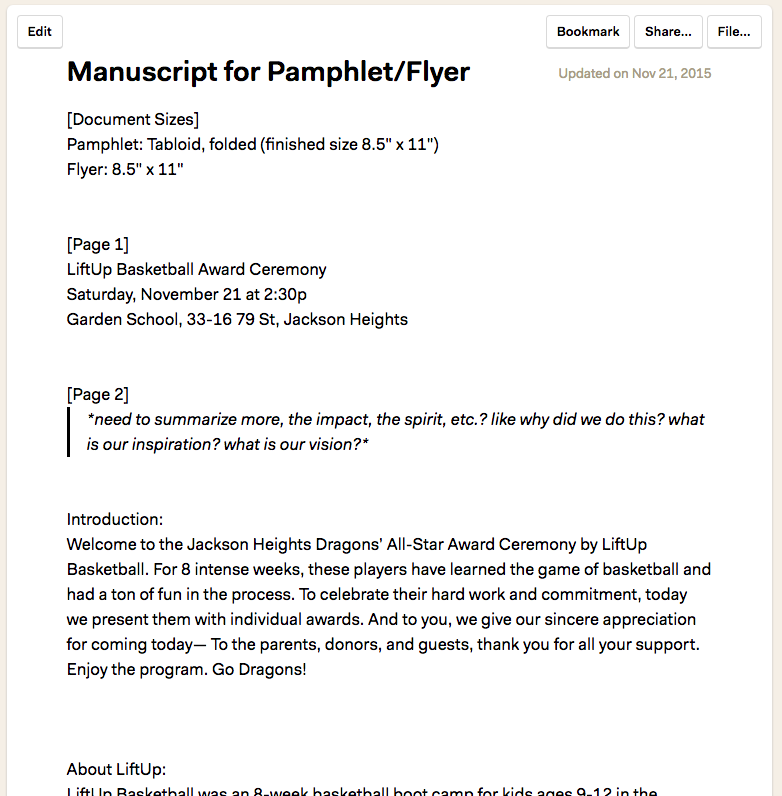 The ambition for LiftUp Basketball was large but it was ultimately realized thanks to all of the people that were involved in the program. It wouldn’t have been possible, first, without Amit. My co-founder, right hand man, and best friend, Amit was a shining star in this initiative. His basketball acumen and dedication was a stirring example for our kids. He was there every step of the way, guiding the process and helping me with the nitty-gritty. I am grateful to have him as a best friend. 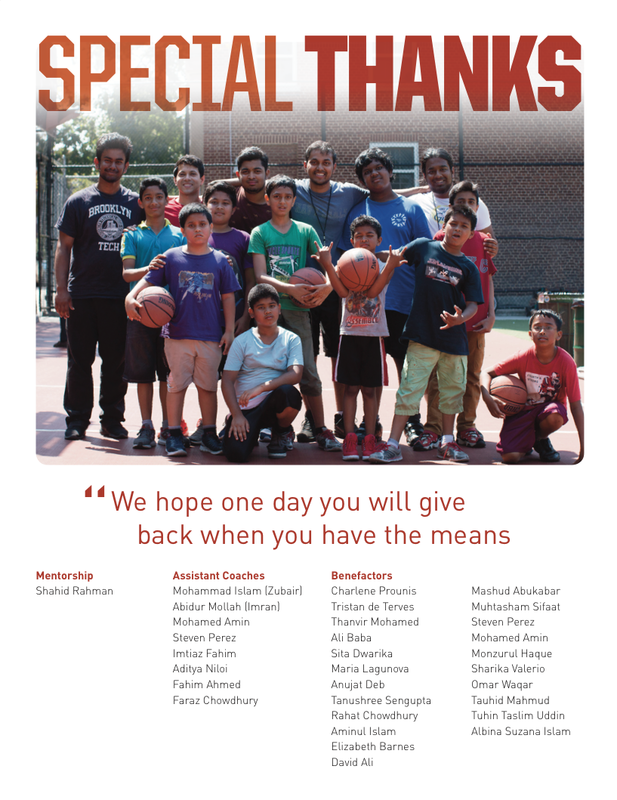 I’m thankful to iSay: Inspiring South Asian Youth. With Shahid Rahman's mentorship, I never gave up, even when the going was getting really tough. His advice and organizational support helped elevate LiftUp Basketball into a position better than the sum of its parts. I’m also thankful to all our donors, especially my former boss Charlene Prounis and Amit’s former boss, Tristan. Their outstanding contributions helped take our donations over the moon. We wouldn’t have been able to realize our finances without their generosity and compassion. And finally, a special thanks to my mother. She showed me every ounce of love throughout it all. Whenever she came by the park during a basketball session, she’d kindly wave, give me a smile, and stand there, proud of her son’s accomplishments. She is my rock of support that never wavers, never gives up, and truly inspires. Thank you mom. For my design initiatives, I relied a lot on the Adobe Suite including Photoshop, Illustrator, InDesign, and Lightroom. For collaboration and copywriting, Google Docs was critical. For organization, Google Sheets, Zoho Creator, and Basecamp all contributed support. For website and social media, Tumblr and Hootsuite were essential to the workflow. Keynote and Skype played important roles during the Award Ceremony.